The Inserts & Disc are in Like-New Near Mint condition. The Case has a few Light Marks on it. SUPER RARE ! --- "OOP" & FACTORY SEALED. DVD-AUDIO'S ARE REGION FREE And Therefore It Can Be Played On Any DVD//BLU-RAY Players Worldwide. 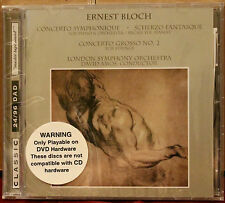 DVD-AUDIO'S Cannot Be Played On Standard CD Players. Beethoven, Liszt, Wagner, Bizet, Brahms, Tchaikovsky. 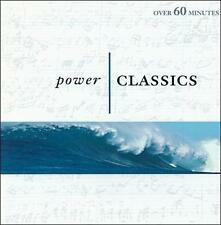 POWER CLASSICS. The Glass Armonica. Largo for Glass Armonica. Fantasia for Glass Armonica. G. Finkenbeiner, Inc. – Glass Armonica Makers. Dean Shostak. Aquarium (Carnival of the Animals). Aquarium from Carnival of the Animals. Johann Strauß - Nikolaus Harnoncourt ,Berliner Philharmoniker ‎– Johann Strauß In Berlin. Format:DVD, DVD-Audio, Multichannel, Album,Advanced Resolution. Dear fans of good music. This activity encouraged her to search further for significant personalities springing from her native land. To be honest, it was very exciting to hold in our hands the manuscript pages of this master, filling us with a sense of responsibility for each recorded note. 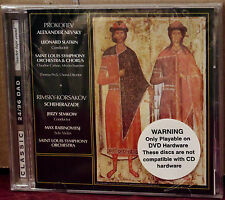 Boris Lenko believes in this CD. Bellows are like the violin bow, they are the soul, and they give music its plasticity and scope. No gimmicks, no tricks. Lenko’s play is pure and the music radiates with transparency. Normally, I should start with the licitation of biographical data about Eugen Suchon. The first one is the music, of course, with its capricious changeability, savageness and rampancy. The second energy found its place in the personality of Eugen Suchon. Thisi is an Ooiseau Lyre CD made in Germany. 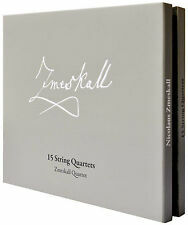 I have many more classical CDs in outstanding condition that I am going to list over the next few weeks. Sales are final. Art Direction [Collector's Edition Art Direction], Photography By [Depeche Mode] – Anton Corbijn. Music For The Masses In 5.1 And Stereo. Producer – Depeche Mode. DVD-15 Pleasure, Little Treasure (Glitter Mix). New Condition. See Pictures in Galore of back side containing Contents. Hybrid SACD. The plastic case has a small crack on the rear. Great audiophile set. LUX is the conceptual sequel to MAGNIFICAT (nominated Best Surround Sound Album to the 58th GRAMMY Awards). Pure Audio Blu-ray. Artist: GILBERT / LEE. Condition: New. Catalogue Number: YAR77215. Format: CD. Release Number HDAD 2005. Close Encounters Of The Third Kind. DAVID GARRETT. " LEGACY ". 5" CD ALBUM IN JEWEL CASE. THIS CD ALBUM WAS RELEASED IN 2011. THE DISC IS NEW AND UNPLAYED, BUT NOT FACTORY SEALED. CD and DVD box set. Any discs with marks have been tested and play perfectly. Disc condition: Marked but play perfectly. Artist: GILBERT / LEE. Condition: New. Catalogue Number: YLRD77215.2. Title: Ingram Marshall: Alcatraz. Artist: Ingram Marshall. Format: CD. Missing Information?. 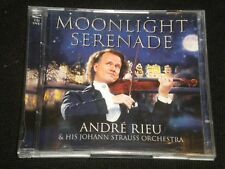 ANDRE RIEU - MOONLIGHT SERENADE, CD + DVD ALBUM - GOOD, COMPLETE, SOUND CONDIT! ROMANCE: THE GADFLY. MY LOVE SONG SHOULD BE A WALTZ. The set remains in entirely sound, clean condition. CHIANTI SONG. 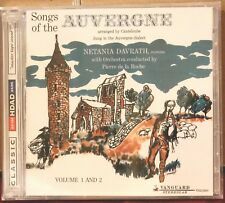 THIS IS A FABULOUS 2 DISC SET (CD and DVD), PRODUCED IN 2010 on the DECCA label. 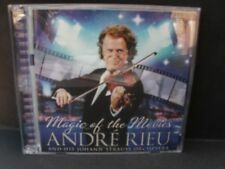 5 out of 5 stars - ANDRE RIEU - MOONLIGHT SERENADE, CD + DVD ALBUM - GOOD, COMPLETE, SOUND CONDIT! 11 product ratings11 product ratings - ANDRE RIEU - MOONLIGHT SERENADE, CD + DVD ALBUM - GOOD, COMPLETE, SOUND CONDIT! ANDRE RIEU - AND THE WALTZ GOES ON: CD + DVD ALBUM - GOOD, COMPLETE & SOUND! LA PETITE VALSE. VALSE TRISTE. GRANDE VALSE VIENNOISE. BLUE TANGO. AND THE WALTZ GOES ON (BY SIR ANTHONY HOPKINS). THE SKATER'S WALTZ. ANDRE & BARBARA. AND THE WALTZ GOES ON (A short film looking behind the scenes. ).